• Two thirds of the 774 million adult illiterates worldwide are women – the same proportion for the past 20 years and across most regions. • The global youth literacy rate has increased to 89 per cent, while the gender gap has declined to 5 percentage points. • Gaps between girls’ and boys’ primary enrolment have closed in the majority of countries, but gender parity is still a distant goal for some. • 72 million children of primary school age are not attending school, out of which over 39 million (or 54 per cent) are girls. • While secondary school enrolments show improvement, fewer countries are near gender parity than for primary education. 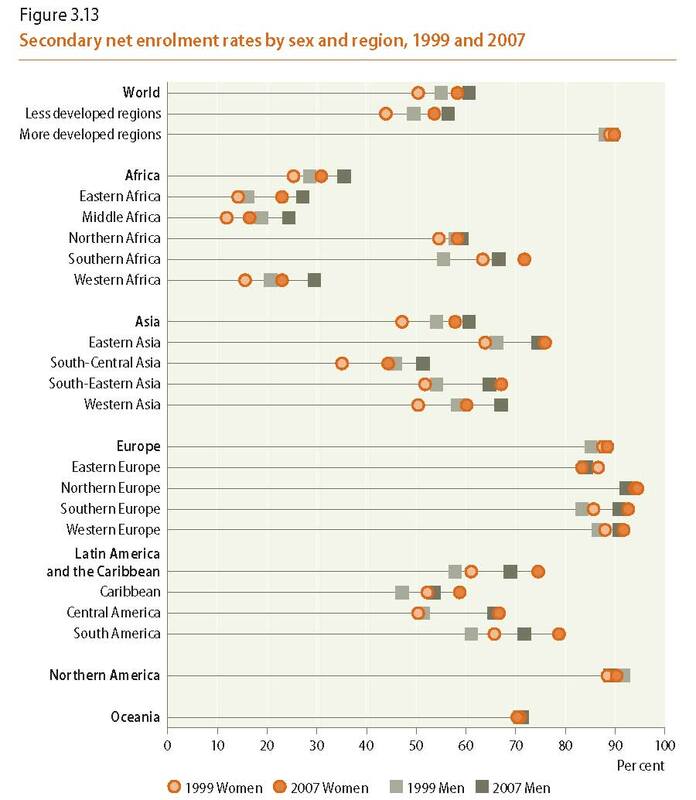 • In tertiary enrolment, men’s dominance has been reversed globally and gender disparities favour women, except in sub-Saharan Africa and Southern and Western Asia. • Women in tertiary education are significantly underrepresented in the fields of science and engineering; however, they remain predominant in education, health and welfare, social sciences, and humanities and arts. • Worldwide, women account for slightly more than a quarter of all scientific researchers – an increase compared to previous decades but still very far from parity. • Use of and access to the Internet grew exponentially in the past decade, narrowing the gender digital divide – however, women still do not have the same level of access as men in most countries, whether more or less developed. *For printing on a non-color printer, use B/W file for better results. Source: Macro International, MEASURE DHS STATcompiler (2009). 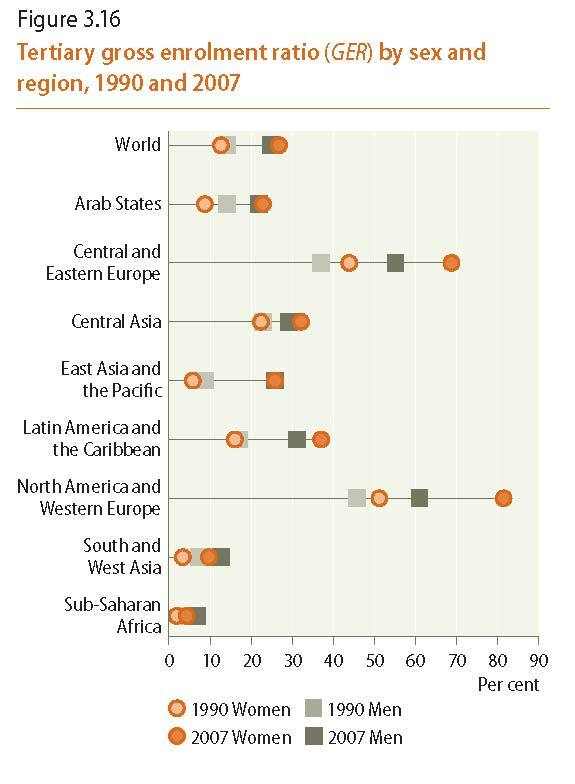 Source: International Obesity Task Force, Global Prevalence of Adult Obesity (2009).